To spend a week in the woods with about a 1000 human beings emboldened my faith in the immense magnificence of our diverse, colourful, wild and loving humanity. When we get together in a space of free and creative expression, empowering workshops, healing spaces, eating nourishing meals together around fires, drumming and dancing into the night, naked swimming, and tons of spontaneous community fun, bliss is our frequent companion. Joy becomes natural, palpable and inescapable. Whether it's all of these wondrous elements combined with the serene vibes of the forest and fields, love and kindness seems to simply emerge from people in constant and some times extraordinary and oftentimes playful ways of endearing affection. Something deep gets wiped cleaned. From the tiny nexus of a festival comes the birth of a huge world of real possibility that lifts smiles aplenty. It's absolutely ecstatic when it firmly grips you, to look around and see so much free and good humanity, sharing-caring-daring to be fun and funny and perpetually kind. All the cynicism of an old world of capital gain and ancient shame, inner-truths tamed and commercial games, seems to dissolve gradually as the days dazzle by. My angelic partner happily told me on the first day of the week of festivities that it would take a few days to integrate just how magical OM is and I arrogantly waved her off, saying something spiritually egoic, like oh I integrate these kinds of energies quite fast and can already feel the bliss you mention. But a mere few days later I was giddily admitting my false pretense as I began to ring with a kind of delicious loveliness that was unprecedented for me in such magnitude. These wondrous occasions are indications of something so powerful and true that is growing in our tribes--the dawning of an incredible culture of connection, oneness and authentic power. This is what a world based on spirituality looks like. For me, the word spirituality need not make people shirk in the face of wu-wu but pertains to a profound understanding that we all are part of something; a state of unity that weaves not only all of us humans but all of creation. This is what the word SPIRIT means--the one energy/space/force that forges us in beauteous interdependence and togetherness, despite culture, race, religiousity, etc. More and more, this sense of deepest reality is becoming apparent to the masses and conscious festivals give us amazing opportunities to dive deep into exploring that realm. It's common for participants upon returning home to places like big urban centres like Toronto to feel a sense of galvanization; a raising of their vibration; a yearning to continue communing in such awesome and delightful ways. Of course, the wiles of re-integrating back into that social world we'd soared away from can be very tricky and that is why I've personally felt the call to continue offerings in the city, such as the recent New Moon Circle I held in Dufferin Grove Park with some wonderful co-facilitators and soul tribe AND the plan to host another Heal the Field event in the same park, as we did the day before the OM Festival, gathering a hundred or so people to share visionary music, healing workshops and a stunning 30-minute OM chant circle to power our good vibes into the wider vibratory fields of the world. And that's just my realm of creation. 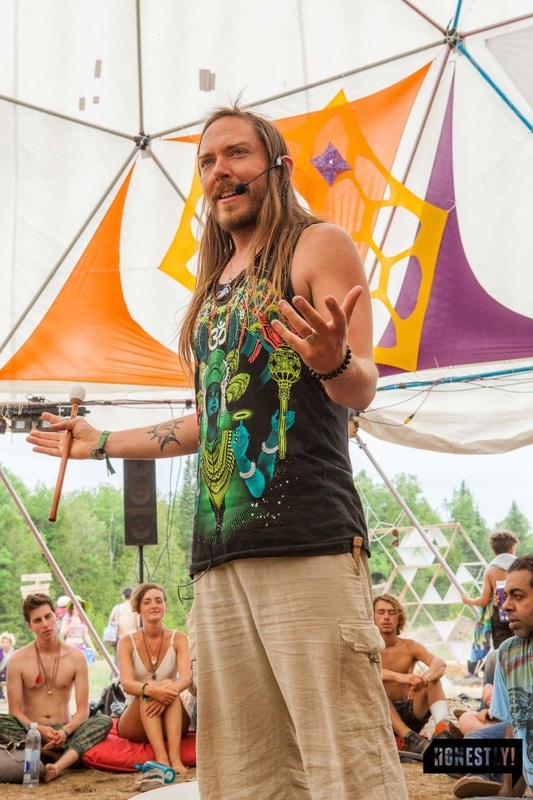 The great spiritual awakening can be easily witnessed by the sheer deluge of what many are calling 'conscious gatherings' in the city--ecstatic dances, spiritual and healing talks, communal potlucks, intention and meditation circles, kirtan, yoga, etc. 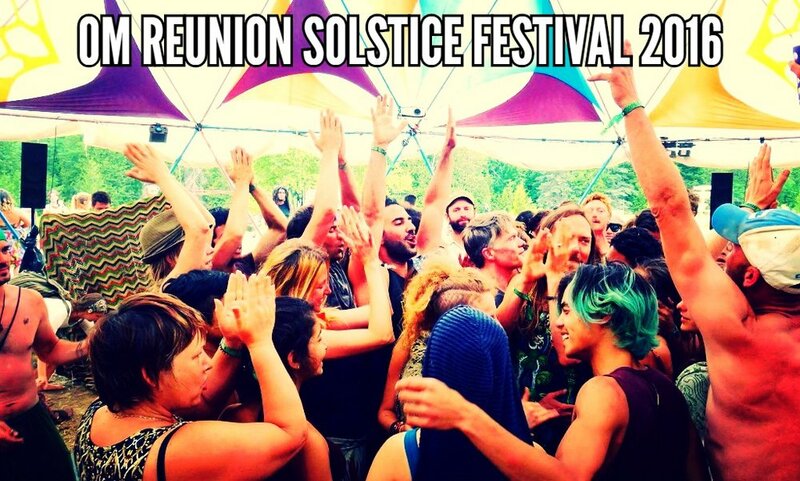 where people can come together to celebrate, expand and explore consciousness. It seems almost every day of the week SOMETHING magical is happening where people are gathering in magnificent ways. I can't keep track, nonetheless attend them all! We are doing nothing short of re-enchanting the world! I myself am seeing so many new faces as well who are having their first experiences of this spirited activities! The Big Love which Jesse and I are running monthly at Octopus Garden Yoga Centre was filled with some fresh faces last time and it's so poignant to see the ferocious sense of freedom that people are creating for themselves--one of the most powerful medicines to salve the stresses of our modern era as we break free from the shackles of repression of the human spirit. Healing wisdom is spreading vastly and people are really starting to understand how to live vitally in balance, cultivating the effulgent vibrations of their soul through all the great knowledge being shared across cultures and timelines. It's nothing short of a revolution of the ecstatic kind!